Lita Ford is streaming a cover of Led Zeppelin’s “The Lemon Song”, which she recorded with the all-female Led Zeppelin tribute band Lez Zeppelin, via Parade. This song will appear on the She Rocks, Volume 1″ compilation, which is set to be released on January 20 through Steve Vai’s Favored Nations. Lita Ford has premiered a new song titled “Killing Kind,” via The Wall Street Journal. This song features special guests Billy Sheehan, Rodger Carter, Dave Navarro, and it will be on her new album “Time Capsule” which will be released on April 15. Lita Ford has premiered a new song titled “Rotten To The Core,” via Noisey. This song features special guests Gene Simmons, Rodger Carter, and Bruce Kulick, and it will be on her new album “Time Capsule” which will be released on April 15. 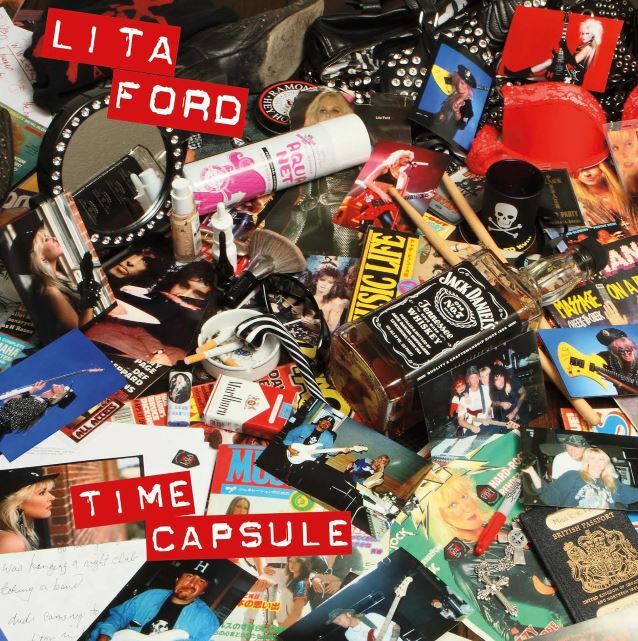 Lita Ford will be releasing a new album titled “Time Capsule” on April 15. The effort is composed of music she started working on in the ’80’s, and it features special guests Billy Sheehan (The Winery Dogs, etc. ), Rodger Carter, Dave Navarro (Jane’s Addiction), Jeff Scott Soto (Talisman, etc. ), Rick Nielsen (Cheap Trick), Robin Zander (Cheap Trick), and Gene Simmons (KISS).